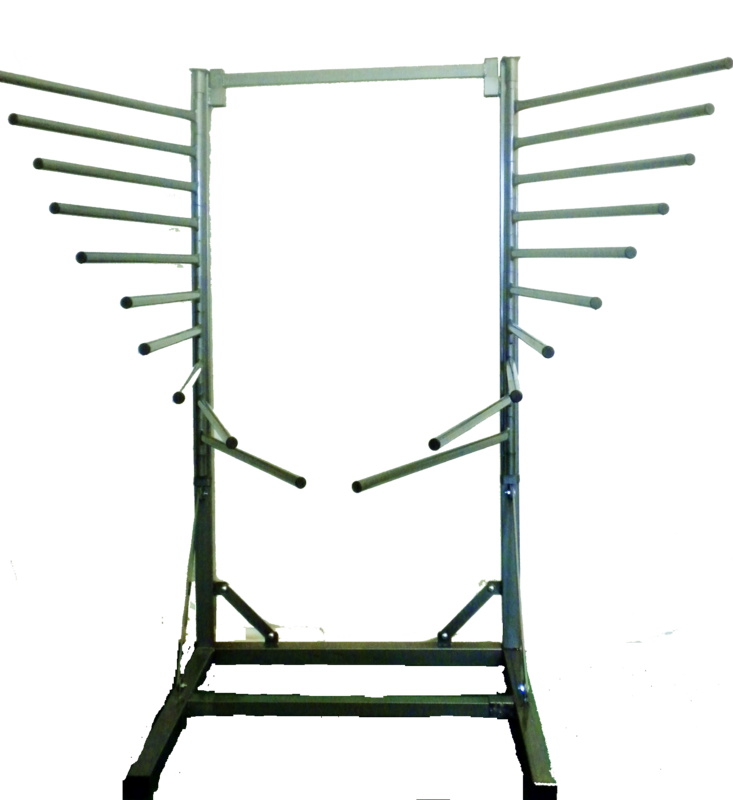 This rack has 20 rotating arms to display saddle pads/blankets. Increases sales by allowing your product to be viewed easily by customers. 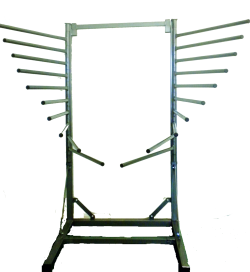 Built for easy assembly or tear down which makes it easy for trade shows and retail stores.